When you're going for AMRAP, you need gear that stays on your side. 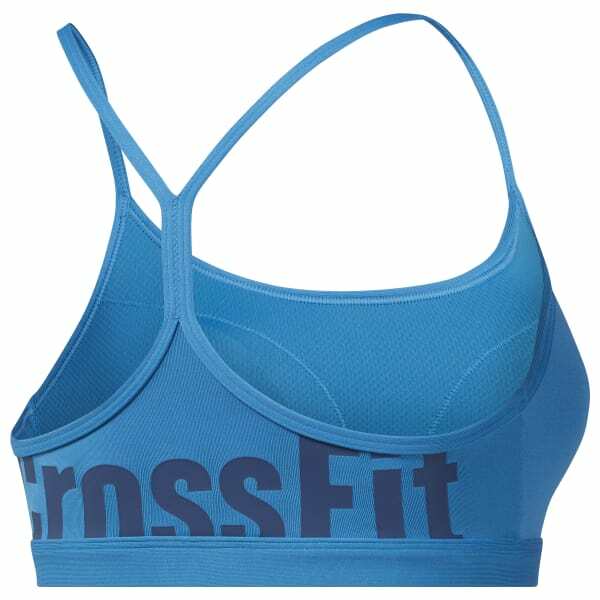 This sports bra was built for the burners, complete with Speedwick technology to handle sweat on the fly. When the heat in the box turns up, the antimicrobial finish offers protection from bacteria on equipment and controls odor. Cinch the skinny straps for your perfect fit before hitting your next set. The medium-impact design cuts down on unwanted sway and bounce, while the racerback construction gives your shoulders the freedom to move. Plus, removable pads offer extra modesty and shape.